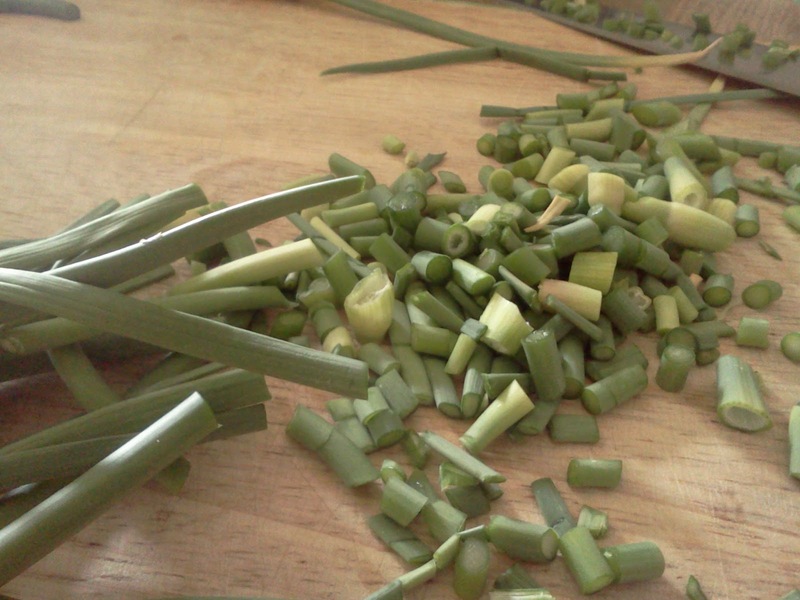 There are so many parts of plants that are discarded. Leaves, flowers, roots - you name it. One of these that I think is VERY overlooked is garlic scapes. 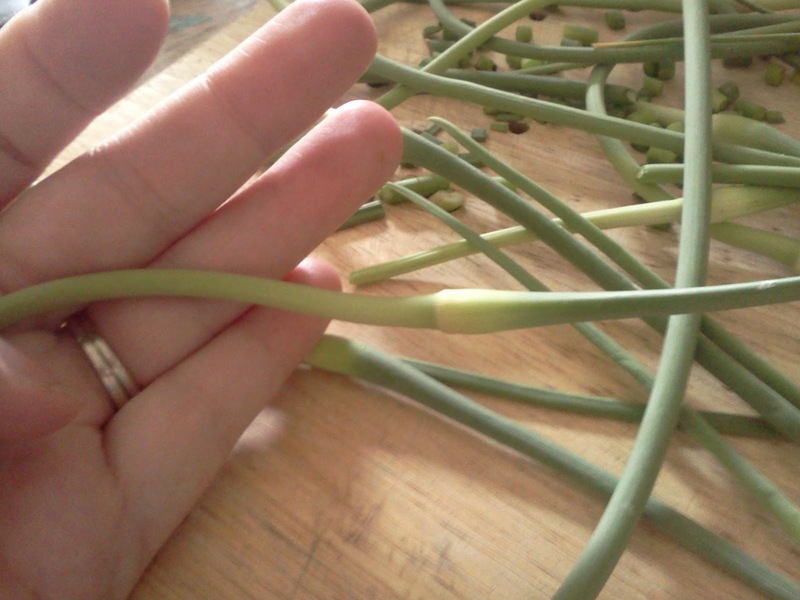 These thick, vine-like things grow out of growing garlic bulbs. And they are good. Very, very good. They taste like an odd, yet interesting mix of garlic and green onion. They are crisp and burst with flavor, especially the younger they are. The swollen part in the center there is actually a very teeny tiny garlic bulb. There are people who say not to eat it (they say it is bitter), but I tried one and really it's not! I just chopped it up with the rest of the scapes. 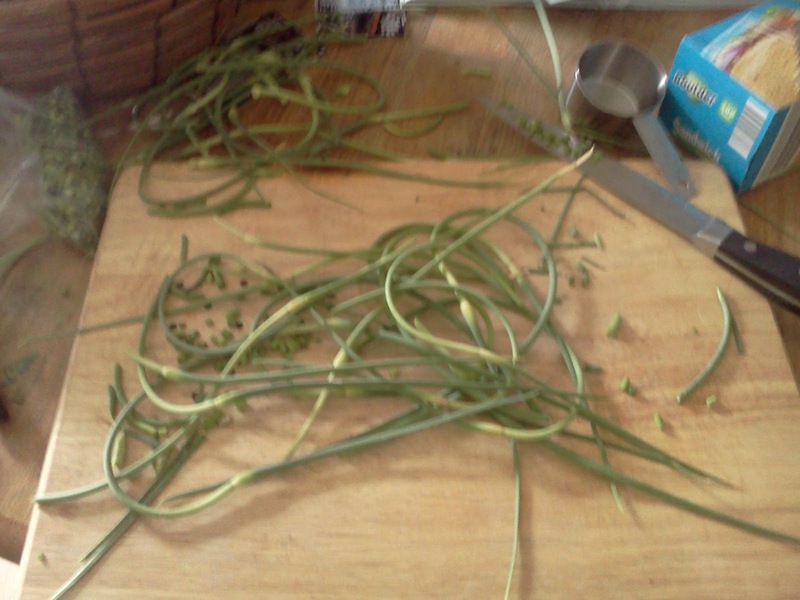 The finished product - about 1.5 cups of chopped scapes, ready for stewing, stir-frying, or other nummy delights! I just froze these straight - no need to blanch. 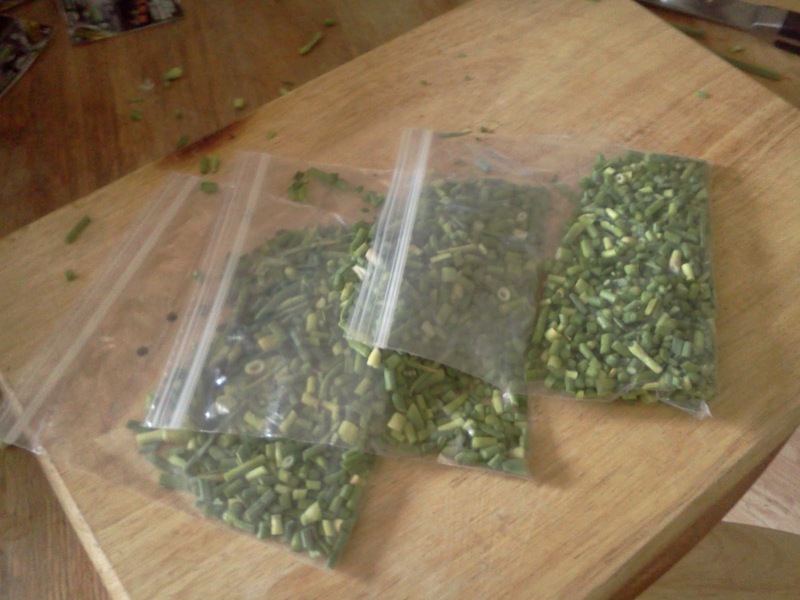 This came from about 75 garlic plants (we have about 100 total).